Giving 30-40% less friction that a traditional jockey wheel setup they allow you to go further, faster with less effort, something that's equally valuable whatever your riding style. 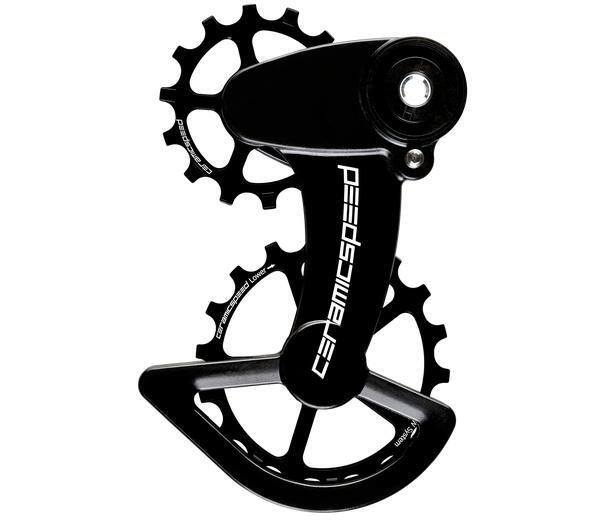 Replacing the pulley wheels and surrounding cage of the rear derailleur, but utilising the rest of the existing mechanism, the combination of a larger radius path for the chain and CeramicSpeed's own bearings means not just increased efficiency but also 3-4 times the service life of a traditional setup. The OSPW X is the first system designed specifically to handle the unique requirements of clutch derailleur mechanisms. This means that it's compatible with SRAM Force and Rival 1x drivetrains. The biggest downside to standard clutch derailleurs is that the increased chain tension causes unwanted additional drag. 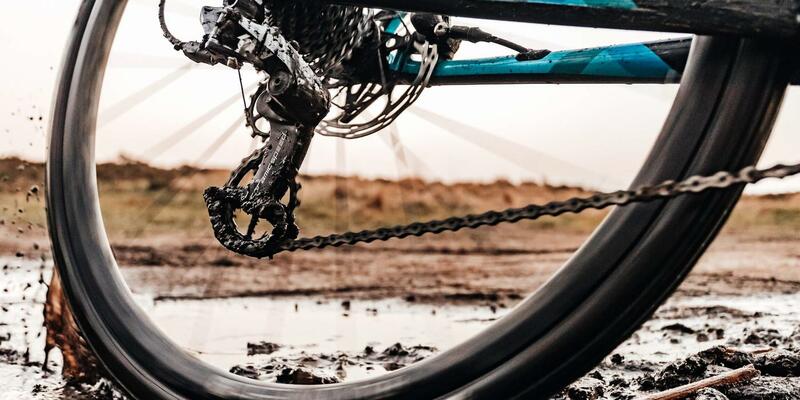 It's a compromise that most gravel/adventure riders have been happy to live with because of the chain retention benefits - but this new system allows us the best of both worlds. The OSPW X is designed to separate the clutch mechanism from the derailleur's spring tensioning system, which results in all the benefits of chain retention with far greater efficiency. As with most 1x front chainrings the pulley wheels are designed with a wide/narrow pattern of alternating tooth profiles, so that they mesh perfectly with the chain, further increasing chain retention on the roughest surfaces. A carbon fibre pulley cage keeps things strong, light, and most importantly super stiff, to ensure precise shifting. Each OSPW is handbuilt by CeramicSpeed in Denmark. The OSPW X is available now, with a choice of standard or coated bearings. To check compatibility and order contact us - we can also arrange fitting and setup in our workshop.